25 Jan 2019 --- At this year’s ISM trade fair in Cologne, Beneo will showcase the first toffees made with its branded functional carbohydrate, Palatinose (isomaltulose). The new product concept has been created to offer consumers a healthier toffee alternative, as it replaces more than 30 percent of the high glycemic sugars contained in a standard toffee recipe, supporting a lower blood glucose response. Palatinose (isomaltulose) is derived from sugar beet and has similar technological properties as sucrose. With its mild sugar-like taste it allows flavors other than sweetness to dominate, making it well suited for sweet snacks. Palatinose has received EU health claims for being tooth-friendly and lowering the blood glucose response. The functional carbohydrate is fully, yet slowly released, and provides glucose in a sustained manner. This ensures that blood sugar levels stay balanced. The increasing global focus on healthy nutrition means that more consumers are searching for “guilt-free” and healthier indulgence. However, market research has shown that for many this remains a challenge: one-third (34 percent) of UK consumers, always or most of the time, feel guilty when they snack, says Beneo. Fifty percent of German consumers and nearly two-thirds of consumers in Spain, Poland and France agree that there aren’t enough healthy sweet options available, reports the company. Traditionally, toffees conjure up indulgence and nostalgia but at the same time a relatively unhealthy image for consumers, explains Thomas Schmidt, Marketing Director at Beneo. “However, the new toffees with Palatinose that Beneo is presenting at ISM preserve the traditionally creamy-sweet taste and the pleasant bite and mouthfeel of their traditional counterparts. But they have a significantly better nutritional profile, with a lower blood glucose response,” notes Schmidt. Beneo hopes to answer to the growing consumer interest in “better carbs” and seeks to balance blood sugar levels while enjoying an indulgent treat. The company is looking at comparing good carbs vs. bad carbs. Consumers are aware that the amount and type of carbohydrates in general play a significant role in coping with health issues such as diabetes and weight management. They also recognize that carbohydrates are a major energy source for the body and brain. Palatinose is a fully yet slowly available sugar that can replace high glycemic sugars in many confectionery applications. Beneo has already presented solutions for both tooth-friendly and low glycemic chocolate with Palatinose. “The ingredient is very versatile, and you are going to see more and more application areas in the years to come,” Schmidt confirms. Developing low glycemic toffees with Palatinose is possible. However, he notes that in this specific case they have not been tested in people with diabetes. Generally speaking, balanced blood sugar levels are a benefit to everybody, those who want to prevent or delay the onset of diabetes and those who already have diabetes, he says. The researchers at the Beneo-Technology Center decided to create a healthier toffee supporting a lower blood glucose response as an alternative to existing toffee products on the market which can contain up to 65 percent of high glycemic sugars. 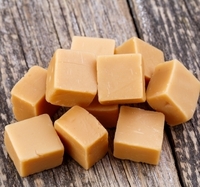 “In toffee formulations, Palatinose can be more or less applied just like sucrose. However due to the slightly lower solubility of Palatinose, in contrast to sucrose, some minor adaptation of the formulation might be needed,” Schmidt concludes. This type of development is expected to continue from Beneo, demonstrating opportunities for confectionery producers to develop healthier alternatives.